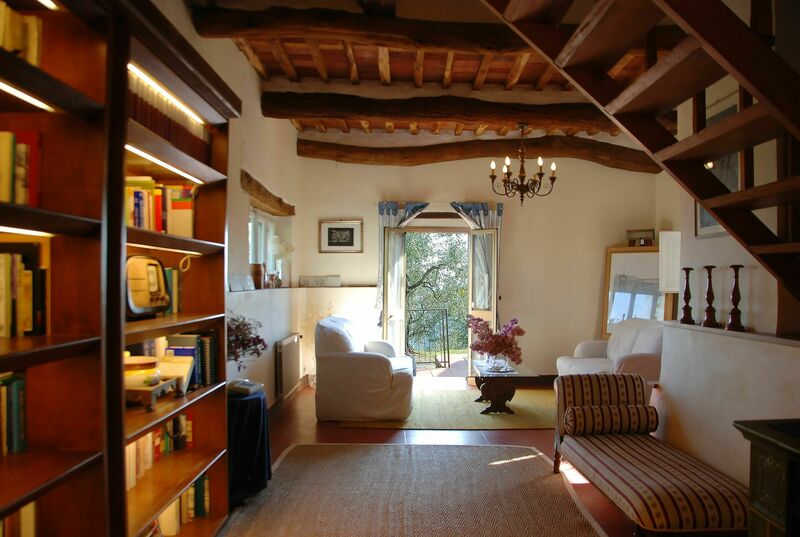 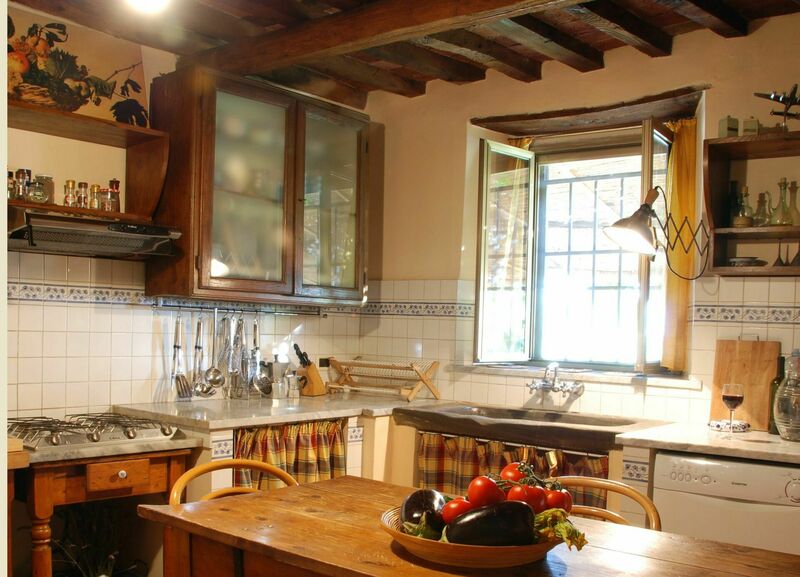 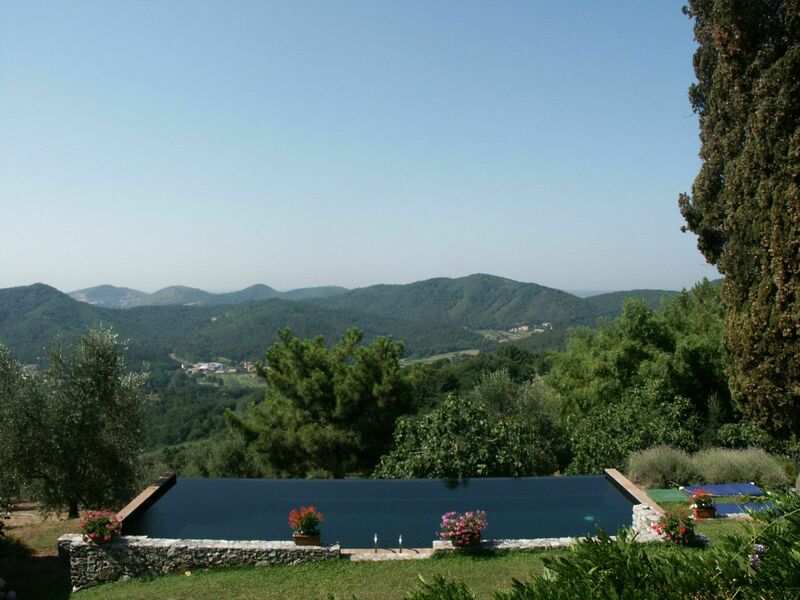 This property is situated in a private and beautiful position in the hills between Lucca and the coast. 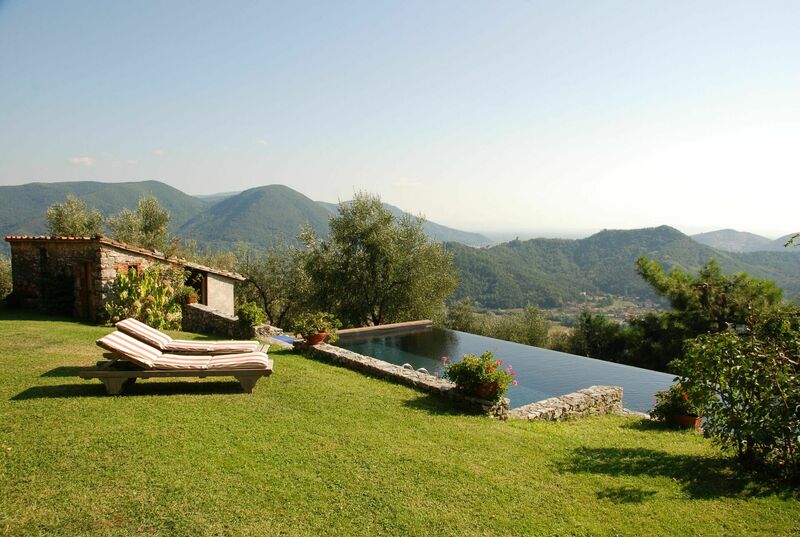 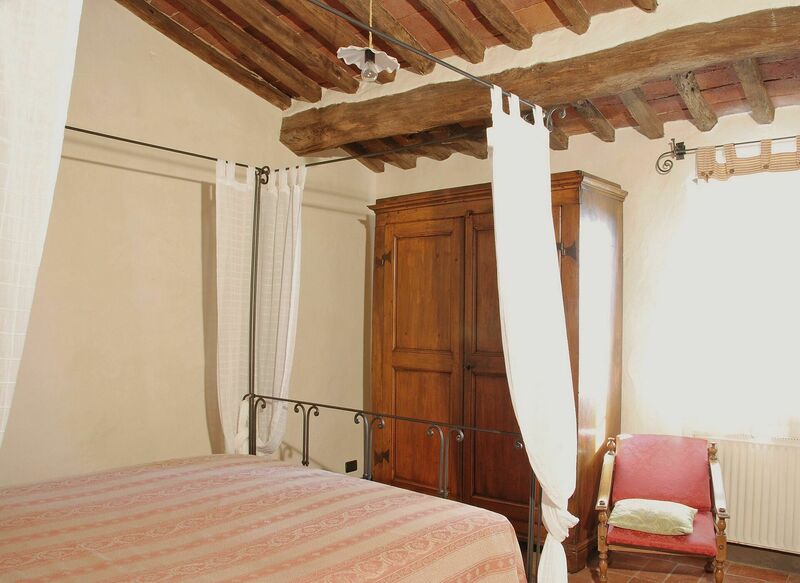 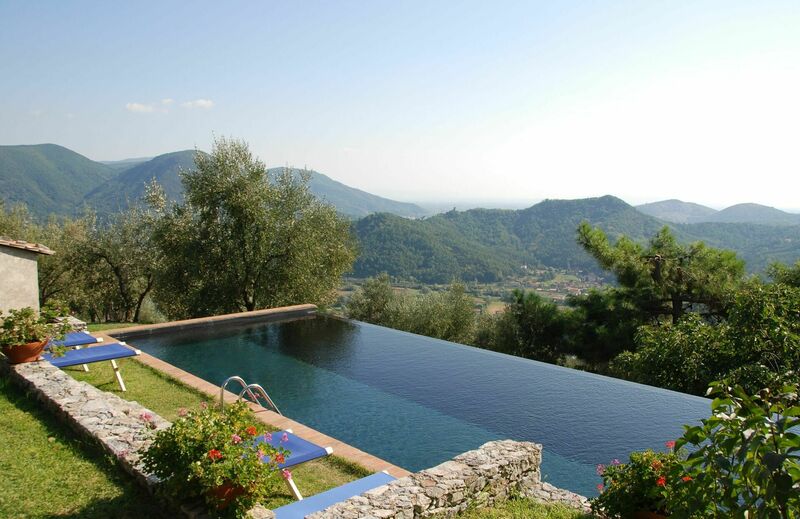 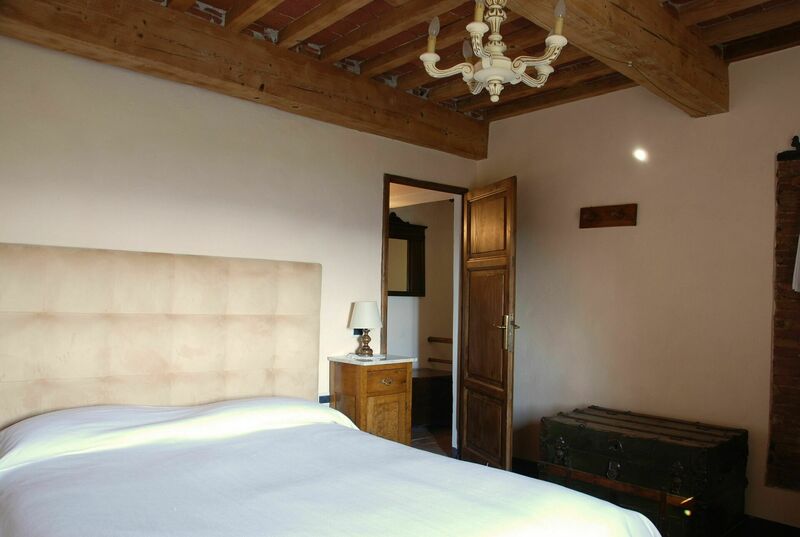 From the property, there are spectacular views over the countryside and the plains of Pisa and Lucca in the distance. 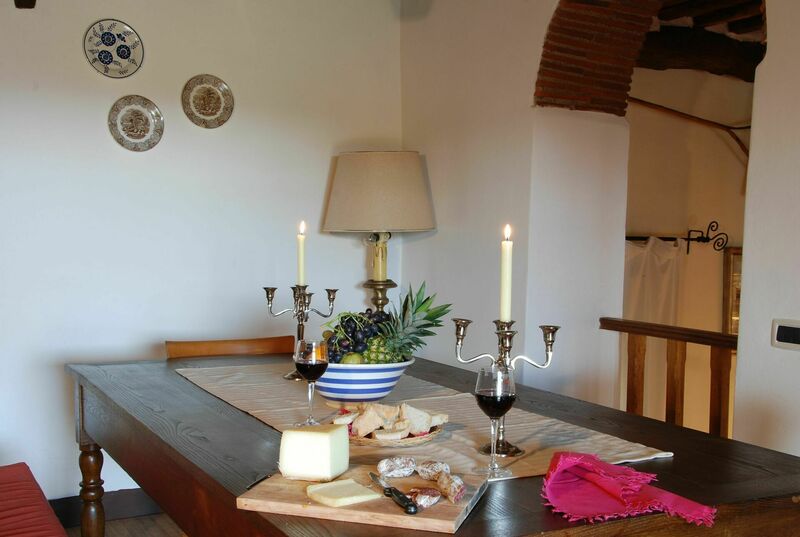 The house has been furnished in a charming and comfortable country style. 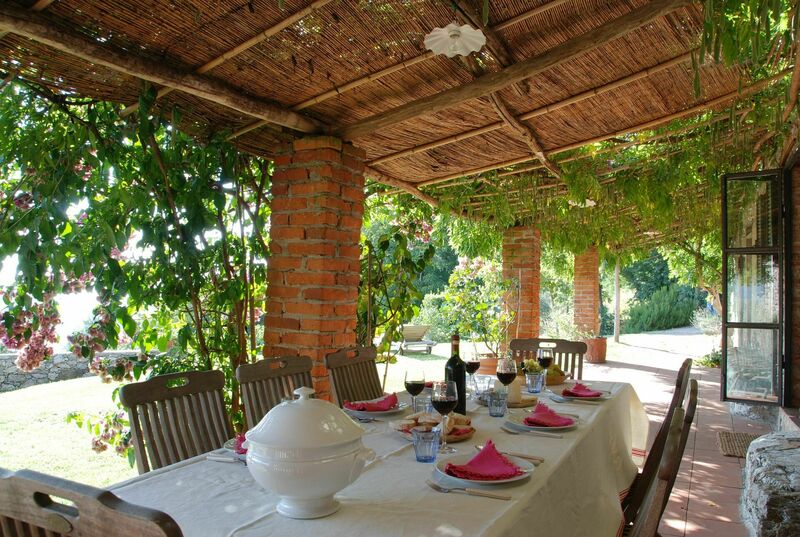 A wonderful feature is the wisteria covered pergola, which stretches along the front of the house, furnished with table and chairs, ideal for al fresco meals. 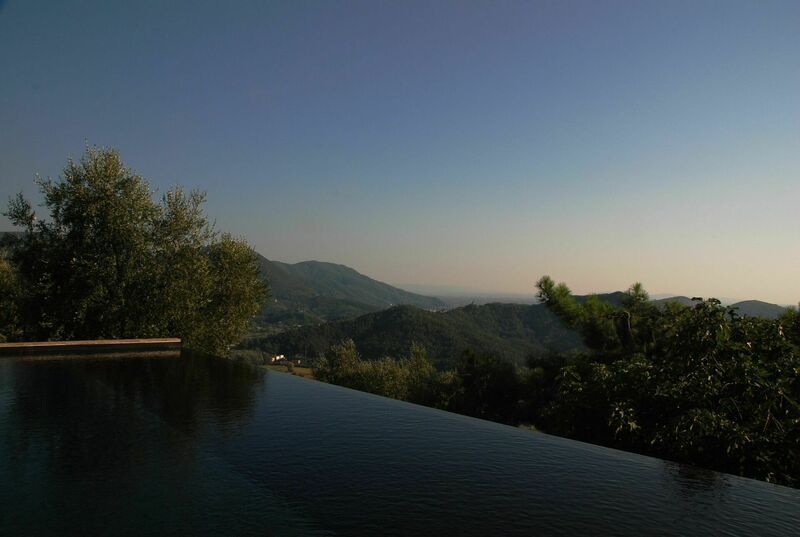 Just in front of the pergola there is a special swimming pool with cascading water that has been installed in the most panoramic spot on the estate. 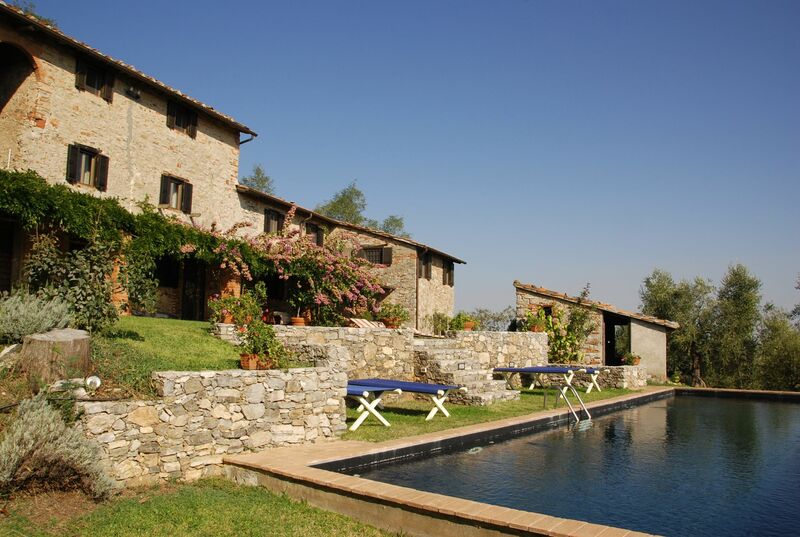 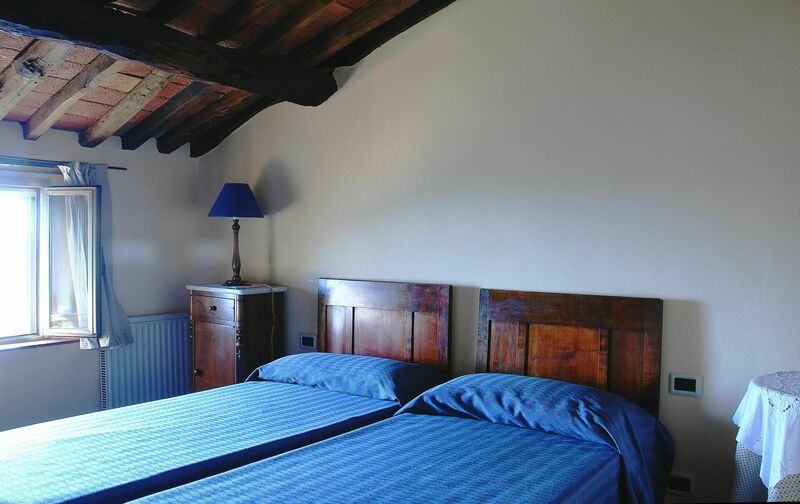 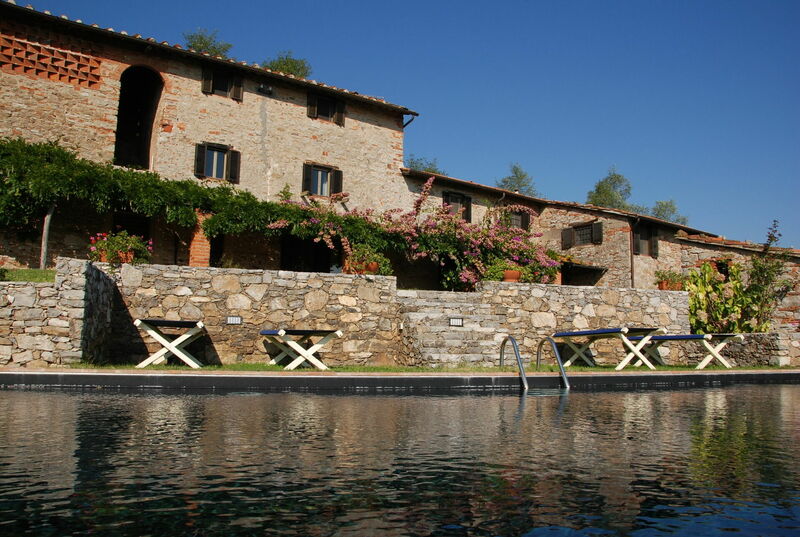 Even though in a secluded position, Al Seminario is conveniently located just a 30 minute drive from the beaches, and 20 minutes from the nearest motorway exit (Massarosa), making it suited for trips to Lucca, Florence and other Tuscan towns. 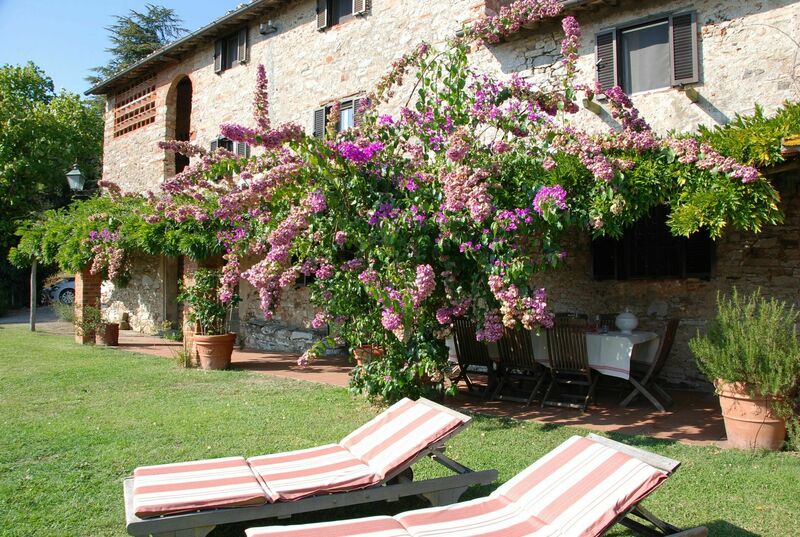 On request it is possible to arrange mountain biking excursions, hiking, horseback journeys and boating excursions in the Lucca Province. 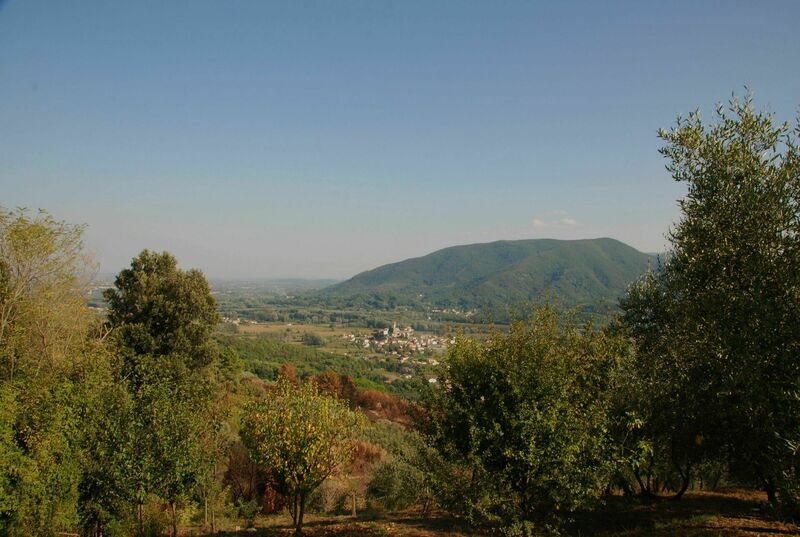 The one kilometre unsealed road is not suitable for very low sports cars. 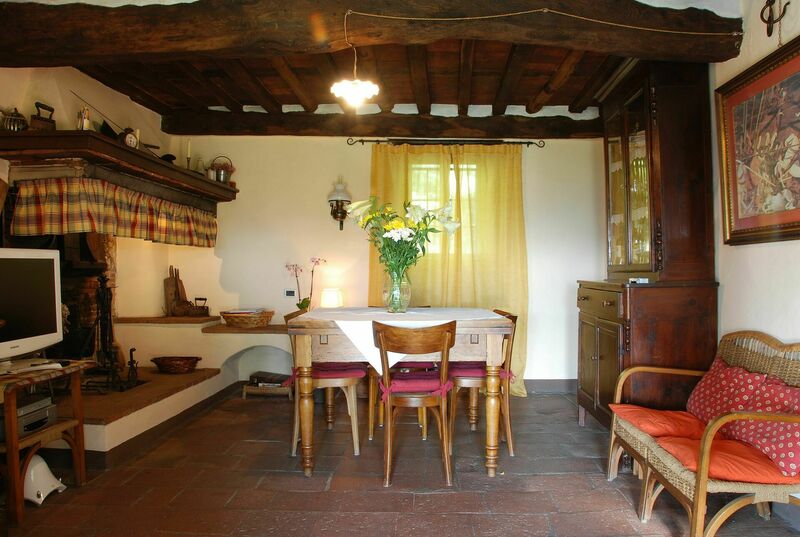 Small sitting room with fireplace opening onto the front veranda, kitchen, dining room, sitting room opening onto the front garden, guest bathroom. 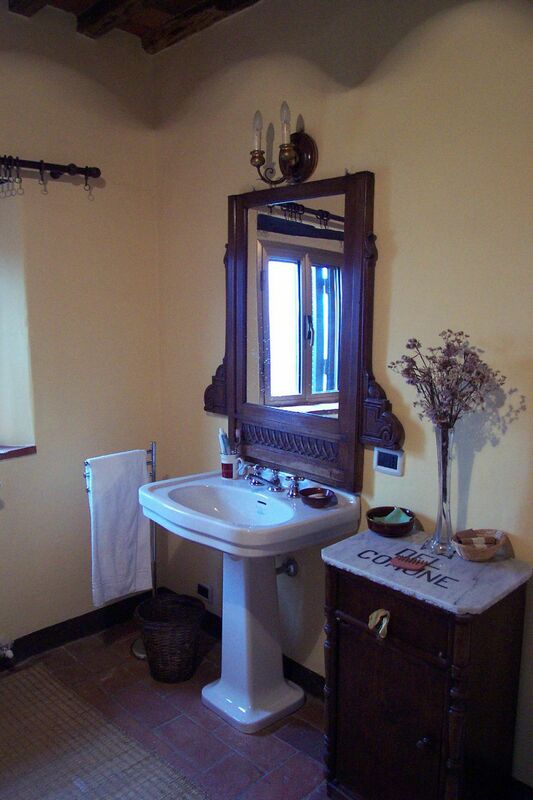 Small sitting room, double bedroom, bathroom (bathtub and separate whirpool shower), double bedroom with en-suite bathroom (bathtub with shower). 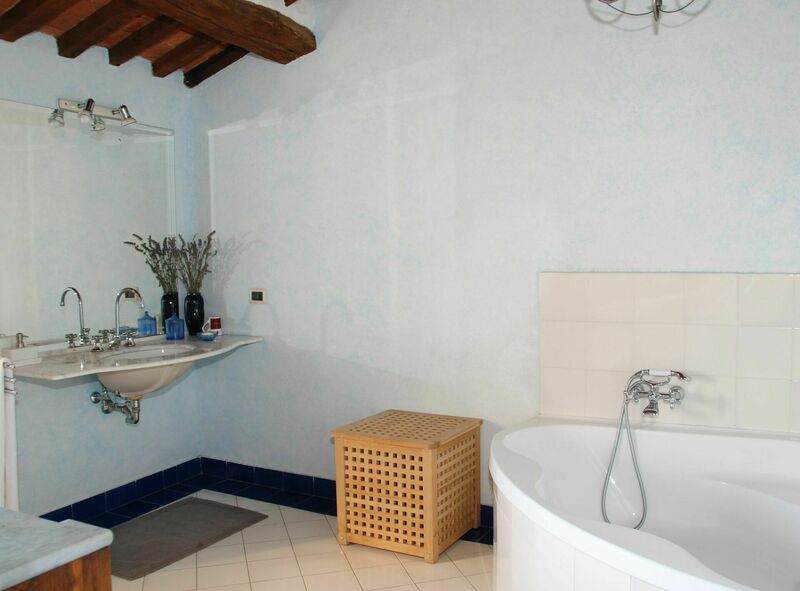 2 twin bedrooms sharing a bathroom (bathtub).